Brick O'Lore: I fixed something. My iPhone 5 thought the headphones were plugged in - even though they weren't. This meant no sound was coming out of the handset speaker. 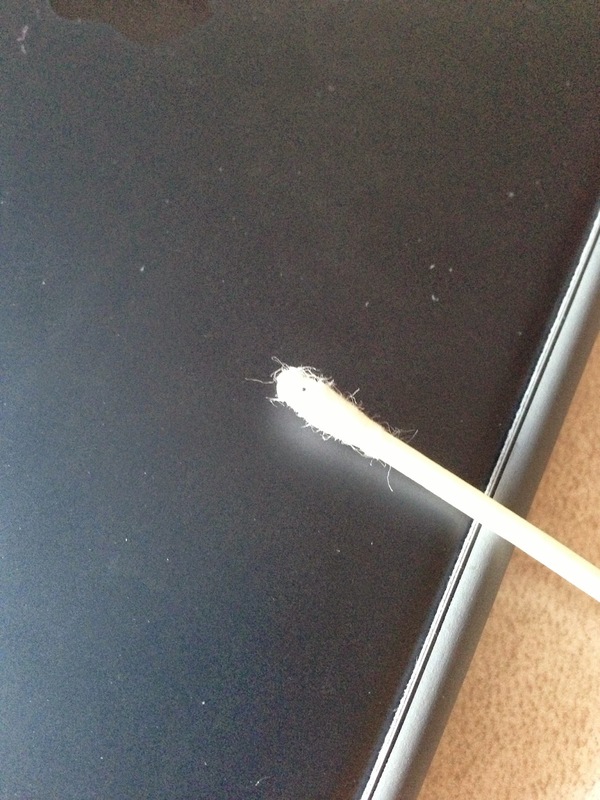 I tried the fixes here, but what actually worked for me was removing almost all of the cotton from one end of a Q-tip. I gave it a little twist in the headphone jack cavity and pulled something out. That little black spec was the cause of all my problems. I was expecting a little metal shaving of some sort, but it looked more like lent. About time you didn't break something.